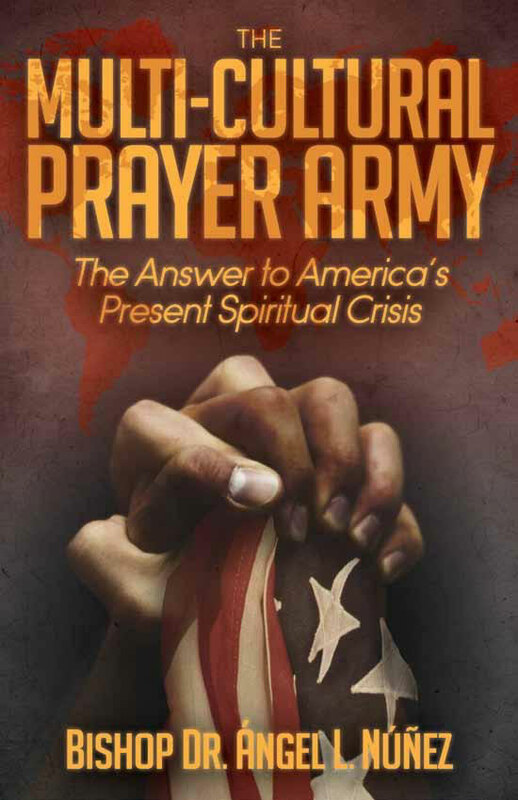 Multicultural Prayer Movement – Relationship, Partnership, and Prayer produces UNITY! Martin Luther King stated: To gather with God's people in united adoration of the Father is as necessary to the Christian life as prayer. The Multicultural Prayer Movement is committed to bringing together the body of Christ. Over 400 churches in the Mid-Atlantic region have come together to seek transformation by bringing unity in Christ. We have put aside our differences and have started tearing down the walls that have divided us. The body of Christ has been separated for too long. The Multicultural Prayer Movement tends to break the barriers that have stood around us by releasing the oil of unity and provoking the church to rise up and fulfill her destiny. Our churches pray in groups but those groups rarely venture out to join with others that are not like themselves. We have allowed our differences to separate us in many different ways. This has caused disunity among ourselves. ​UNITY is defined as agreement, harmony, accord, unison, and union. Unity has power! Together we can speak truth to power and change strong holds that has kept us apart for so many years. Our agenda is to be a part of what God’s about to do in this nation and beyond. By coming together in prayer and setting aside all cultural and faith barriers, the Multicultural Prayer Movement reinforces Gods unity in our nation. ​1 Corinthians 1:10 I appeal to you, brothers, in the name of our Lord Jesus Christ, that all of you agree with one another so that there may be no divisions among you and that you may be perfectly united in mind and thought. Psalm 133:1 How good and pleasant it is when brothers live together in unity! Bishop Angel L. Nunez – President, National Association of Evangelicals, Angel Nunez Ministries, etc. Bishop Mike McDermott – Life Source International, Church of God, Inc. Please fill out the form to sign-up for the Pastors and Leaders breakfast, Wednesday Feb. 6th, 2019 @9:30am. We will be having a time of prayer, fellowship, and providing information about our up and coming events. As always, we will honor your time so we will be done on time; Thank you and God Bless. This is a great and a wonderful time for giving. Now, more than ever our communities, cities, states, nations, and the world need to hear and see the ministry of the Lord of Jesus Christ though us. That is why sowing into this ministry is a great opportunity for all whom desire to see the restoration of lives from neighborhoods to nations through a sound biblical foundation. If you wish to contact us you can fill out the contact form. This multicultural multiethnic force is committed to prayer and extravagant worship. It operates under the Spirit of love and seeks to release the oil of unity that would bring the body of Christ together to speak truth to power (both political and religious) with signs and wonders. Travailing Prayer and extravagant worship. Releases the oil of unity in love. Followed by signs and wonders. Concluding with acts of kindness. This Movement is presently lead by a neutral body of leaders different ministries from around in the Mid-Atlantic Region. It meetings consist of praying together, equipping the body of believers, and special events where we come together to model unity and build relationships, in addition to seeking His face. Together we have over 400 churches. We know that America is being destroyed from within, that our influence on today’s culture has declined drastically, and that the church is divided while our enemy is organized and united. We must therefore rise up and be what we were birthed to be; the salt, the light of the world. To join the movement you simple have to agree to our 4 basic tenets and participate with us in our prayer gatherings and events when the trumpet is blown. Together we can speak truth to political and religious powers, in Jesus name – so just sign up. Copyright 2017 Web Design By: Tu Alternativa Red - All rights reserved.